LawBreakers Major Update Details | Nerd Much? Health regeneration only kicks in for teams without battle medics. To do this, they are integrating an increase in health for all roles, a new spawn system, and health regeneration. The spawn system is now more likely to land you next to your team mates, rather than on your own. Health regeneration only kicks in for teams without battle medics and will begin when the player is out of combat. The developers are hoping that these changes will encourage more dynamic gameplay and the use of abilities and combos. Apparently during internal testing, these changes were extremely successful and made battle sessions longer. How this will work with fans of the game will likely be another story. Depending on the crowd, this could be a gross imbalance. The new map sounds promising though. The area is called Namsan and reflects a little in-world lore for the major fans to soak up. 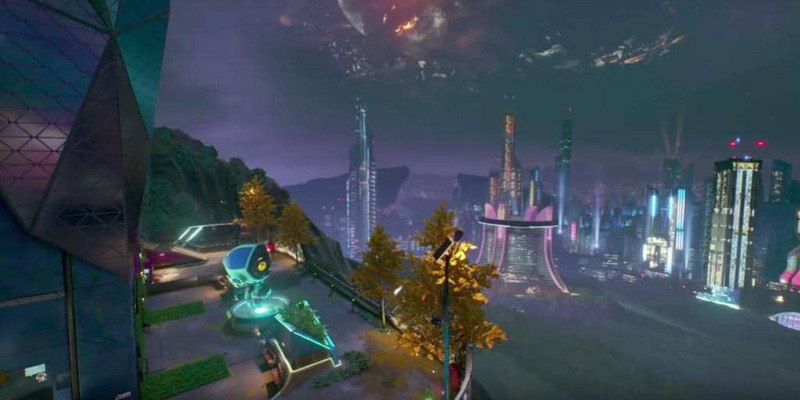 In the centre of the map, lies an icon for players to easily recognize, along with gravity tuned jump pads to send all players to great heights, regardless of their chosen class. The update also introduces daily rewards to keep players coming back. Every time you log in for the day, you’ll earn 50 Creds. Anyone with a mobile phone knows how well this can work if the game is good. You’ll at least be playing for a session or two before you quit in favour of something else. This can also not work at all if the rewards aren’ worth it and game has too high a time commitment. Not everyone has time everyday to sit down with a video game. Most importantly of all, of course, is the new game mode. Skirmish is a team deathmatch mode with a limited time per battle, so be sure to plan accordingly. There are plenty of other updates, especially to the classes and characters of the game, so be sure to check those out on the Steam page linked below.